A lot of people nowadays add some kind of signature to their e-mails like their names, address and contact numbers. Of course, that usually happens in professional e-mails but I digress. 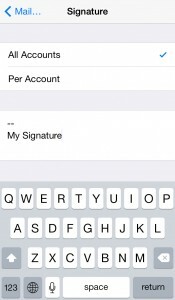 The point is that the process can be made much easier if you are using an iPhone or iPad as the devices can be configured to include a custom signature on any e-mail account you wish (or even all of them). To find the feature, open your Settings, go to Mail, Contacts, Calendars and scroll down till you see the Signature option. After you tap on it, what you see depends on the number of accounts you have set up on your iOS device. 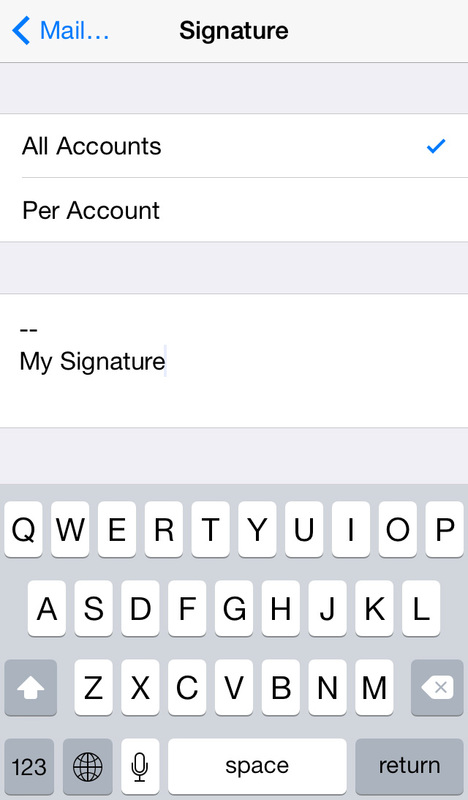 If you only have one e-mail account, you will immediately get the option of setting your signature. If not, you have to choose between the “All Accounts” and “Per Account” options first. After everything is ready, enter your desired signature on the blank field below and close the settings. 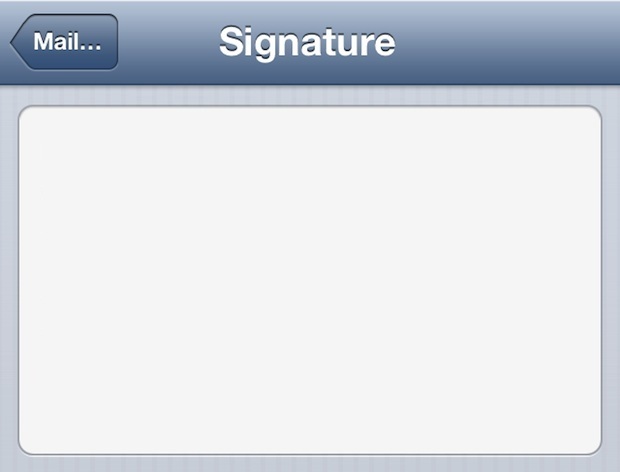 The signature will then be added automatically to all future e-mails, provided you do not turn the feature off again.